After your "Fame 101" book, what sparked your interest in writing about high visibility lawyers? It was long before Fame 101. I was a new lawyer, clueless about the business of law practice and how lawyer PR worked, when I was introduced to Melvin Belli, San Francisco’s most flamboyant lawyer. He was one of the first lawyers to intuitively understand what Hollywood had known for years that effective PR, when combined with a well-developed personal brand (this concept hadn’t been named back then) was the ultimate professional promotion strategy. I was fascinated by his Bentley convertible, his suits’ red silk lining, and how he engaged journalists with great storytelling and what we now call soundbytes. Over a few lunches this elder statesman of the bar shared that what he called his image, was an ongoing strategic effort to attract desirable clients and he was one of the most successful lawyers in the country because of the strategy. This guy was breaking every social norm and was thriving. His life and practice were fun. Sure he was a great lawyer but there were thousands of those; he stood out as a celebrity of sorts by almost inventing lawyer PR and attorney branding. I never looked at lawyers or law practice the same again. So What Would Clarence Darrow Tweet? is partially the result of 30 years of observational research. Does the lawyer PR and personal branding strategy still apply today? Isn’t the future of law practice promotion online? Examples abound in business today of how the PR and branding of a company leader, and sometimes that company is a law practice, leads to amazing success. Remember all those online bookstores? There’s really only one now, Amazon, and it’s because CEO Jeff Bezos focused on making himself iconic which kept his company visible. It’s the reason why Yahoo is confounding those who forecasted its demise; a new 37 year old CEO Marissa Mayer started her branding campaign years ago when a San Francisco Magazine cover dubbed her Google’s Geek Goddess (PR people make that sort of thing happen) and Yahoo is in miracle turnaround mode because of her personal brand power. It’s why we want to fly Richard Branson’s Virgin Atlantic and drive Elon Musk’s Tesla cars. Leading companies have great stories but the elite ones have a face and voice for their story. Of course Jeff, Marissa, Sir Richard, and Elon are sharp people, their success couldn’t happen otherwise, but they’re no smarter than 1000 others, except when it comes to PR and personal branding and it’s the same in law practice. America’s best known lawyers are great attorneys first but they hit the top 1% because they package their expertise with personal branding worthy of Tiffany, Ferrari, or Apple and promote themselves both online and off. Do you want the lawyer with a seriously tricked out website, just like his competitor down the street, or do you want the attorney giving expert commentary on CNN? What do you hope "What Would Clarence Darrow Tweet?" will accomplish? Law schools teach little or nothing about the business of practicing law. We learned the history, the laws, and the procedure so we could advise and advocate the interests of clients but you can’t do any of this without having a client. So 99% of lawyers follow the road most travelled and lease websites and hire SEO people in an ever more expensive spiral of trying to get a slight edge on the client development front over their competitors who are doing the same thing. It’s sad and it’s expensive and it is so professionally restricting that I wanted to share the vastly better way I distilled from our study of the power of professional celebrity that I wrote about in Fame 101 and the work I do at Elite Lawyer Management where we use the entertainment agency model to represent some of America’s best lawyers. I see every day the client attraction power of lawyer PR; society elevates people who are in the news. Lawyer PR is an art and science that, when done correctly, has 10x the power of the most optimized website. The book also looks at the rules and realities of public speaking for lawyers; how to identify and win speaking engagements in front of prospect-filled audiences. It looks at social media for lawyers done right, legitimate book deals, great attorney branding, and how the million (and now billion) dollar lawyers do all these things synergistically and seemingly without effort. 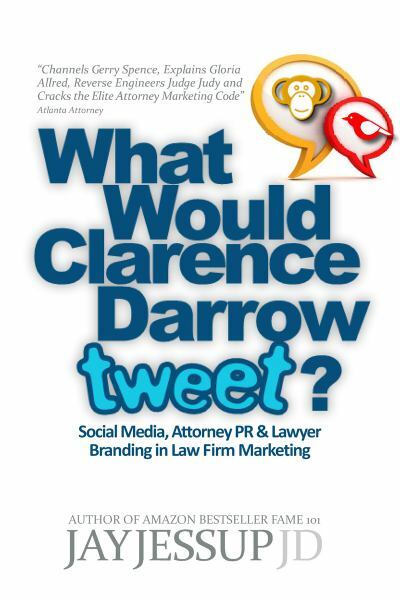 What will surprise lawyers most in reading "What Will Clarence Darrow Tweet"? Beyond discovering the common promotion strategy of America’s most successful lawyers which is life changing, I think three revelations stand out. First, it’s easier to build a national practice than a local one. By this I mean working to get known as a national figure rather than competing in the cluttered local market. Nationally recognized lawyers crush local competition. Second, without exception, America’s most successful lawyers know the client attraction power of compassion, humanity, and sincerity is vastly greater than website conversions or bragging about the latest win. It should be obvious, but it gets lost, that clients first want to know their lawyer understands and cares about their personal circumstance. Third, lawyers can win constant media coverage by focusing on sharing stories that will inform and/or entertain an outlet’s audience; a press release touting another win from a self-aggrandizing blowhard might get a line in a legal journal never read by potential clients but it will never score coverage in USA Today, American Banker, or the New York Times. They cover stories; smart lawyers become the voice of a story rather than the hero. If they were the hero, the reporter will uncover and mention it. What’s the big picture takeaway from "What Will Clarence Darrow Tweet?" There’s a better and easier way to be successful in a law practice. One of my favorite lawyers illustrates it best; he’ll call me today from his beach chair in Florida where he will be working on one or another of his mega cases for a client (who could be anywhere) of his snowy-Midwest based law firm. We’ll talk about his upcoming book, speaking engagements, offline and online marketing plans, latest media interview, and the steady flow of exciting prospective clients. He’s a happy man, one of America’s most successful lawyers, and he cares more about achieving justice for his clients than about any financial or promotional benefit for himself. He gets it – he knows what Clarence Darrow would Tweet. Jay Jessup is a PR and marketing expert with clients throughout the United States and Canada. He co-founded the celebrity public relations and branding firm Platform Strategy and leads Elite Lawyer Management, a lawyer PR and talent management firm for attorneys and law firms. 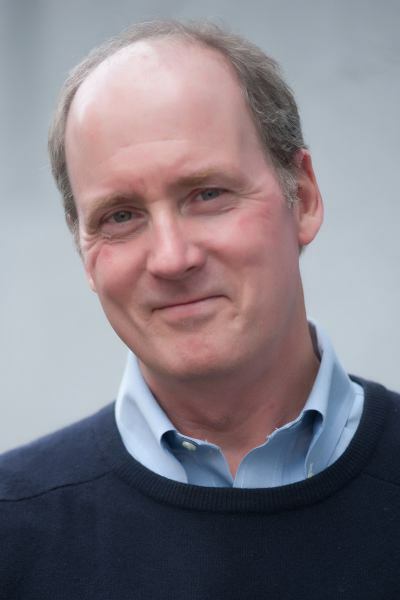 Jay is a frequent commentator for national news outlets, speaks regularly at business and legal events, and is the author of the Amazon bestseller Fame 101: Powerful PR and Branding for Amazing Career Success (Sutton Hart Press).